During the past year, Florida State University faculty members published 120 books in numerous categories, from scholarly or critical works and textbooks to novels and works of poetry. They were either the sole authors or wrote the books with colleagues or students. 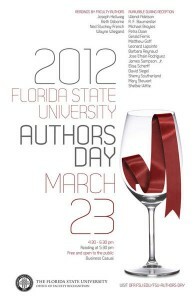 In celebration of the exceptional accumulation of knowledge that this body of published work represents, the university’s Office of Faculty Recognition is hosting the third annual FSU Authors Day Friday, March 23, at the Turnbull Conference Center, 555 W. Pensacola St.
Florida State University has planned a myriad of events to celebrate Women’s History Month with this year’s theme of “Women’s Education, Women’s Empowerment.” A book club, film screening and legacy reception are among the events. The event, which is open to the public, will begin with a reception at 4:30 p.m. for many of the authors, followed by faculty members reading excerpts from books they have written at 5:30 p.m.